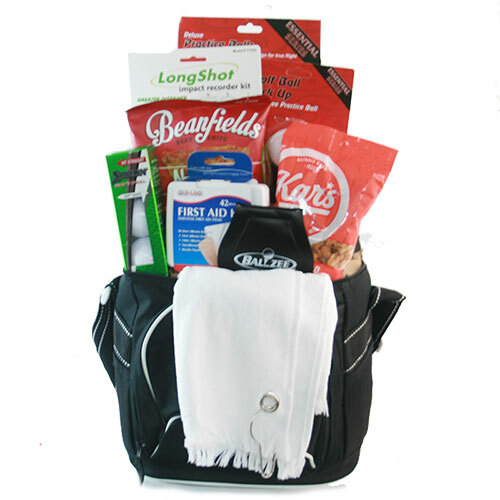 Start their day at the Links off right with this premium golfer’s basket! Gift includes Stinger high performance Golf Tees, a Sleeve of Srixon Power Distance Golf Balls and a Get Ballzee - the Revolutionary Ball Cleaner. The gift basket itself is a Golf cooler which holds up to 6 bottles of a favorite beverage! All they’ll need is a Tee time!